Baylor’s end of the year packet from school contained a self portrait she created in January. 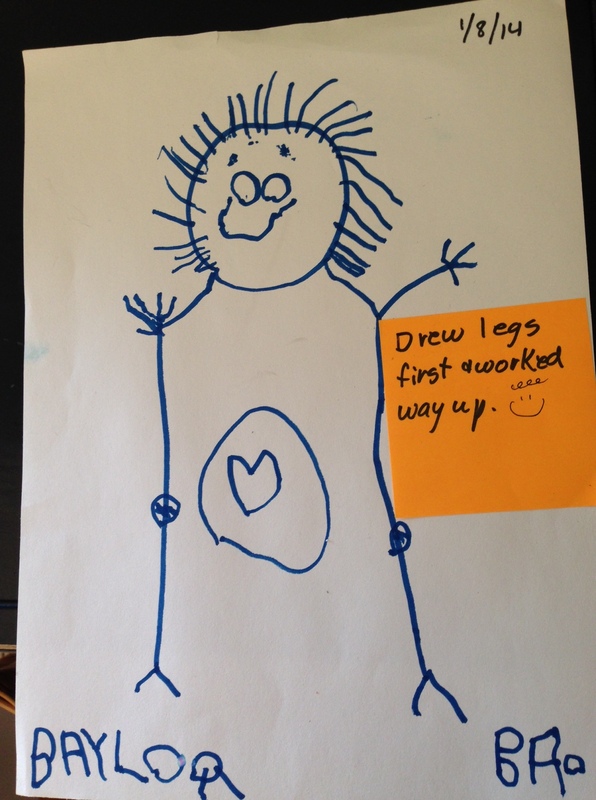 There was a note from her teachers on it – apparently she drew her picture from the feet up. They said all the years they’ve been teaching, they’ve never seen a kid start at the bottom. PW and I didn’t know what to make of the comment – does that mean she’s creative? Thinks outside the box? Or is she destined to be a crazy cat lady?